A.R.S. 13-116, dealing with double punishment: "An act or omission which is made punishable in different ways by different sections of the laws may be punished under both, but in no event may sentences be other than concurrent. An acquittal or conviction and sentence under either one bars a prosecution for the same act or omission under any other, to the extent the Constitution of the United States or of this state require." A.R.S. 13-705, dealing with dangerous crimes against children, sentences, and definitions: "The sentence imposed on a person for any other dangerous crime against children in the first or second degree shall be consecutive to any other sentence imposed on the person at any time, including child molestation and sexual abuse of the same victim." PHOENIX – The Arizona Supreme Court on Wednesday upheld consecutive sentences for a Mesa woman convicted of killing her 10-month-old daughter. 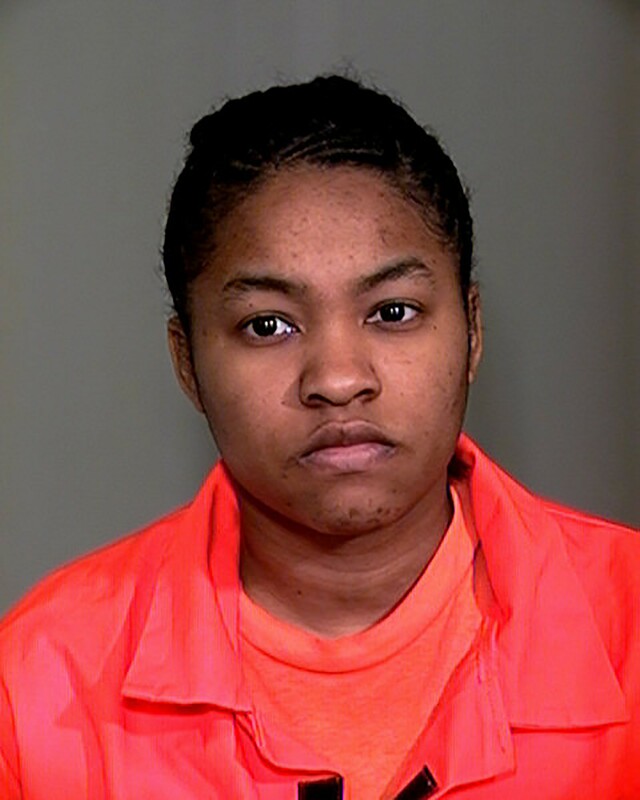 Shawnte Shuree Jones is serving 35 years to life in prison for the 2004 murder of her daughter, Labraiya Huff. She was sentenced to a consecutive 17-year sentence for child abuse but appealed, arguing the additional sentence should be served concurrently. The case dealt with conflicting Arizona statutes – one that bans consecutive sentences in certain cases and another that mandates consecutive sentences for crimes against children. The first says that a crime that is punishable by different laws can be punished by both, but the sentencing must be concurrent. The second requires that sentences in the case of dangerous crimes against children be served consecutively. The high court’s ruling said that when there are conflicting laws the more recent, specific statutes should govern over older, more general statutes. Instead of applying this principle, the Court of Appeals applied a 1993 ruling and said all sentences could be served concurrently. The state Supreme Court found that 1993 ruling was incorrectly decided and said the more recent statute, dealing with consecutive sentences, should rule. Jones’ lawyer didn’t respond to multiple requests for comment. In February 2004, Jones called 911 and said her daughter had fallen and was not breathing. The child was rushed to the hospital and put on life support and a ventilator but showed no brain activity. She died several days later. The medical examiner found several bruises on the child’s head and concluded that the death was a homicide, not an accidental fall. Jones later confessed, admitting she slammed her daughter’s head on the floor several times. During the trial, Jones waived her right to a jury trial. The court convicted her on child abuse and first-degree murder. In addition to the 35-years-to-life sentence and the consecutive 17-year sentence, she also was sentenced to three and a half years, to be served concurrently with murder sentence, for failing to provide nourishment and-or medical attention to her daughter. 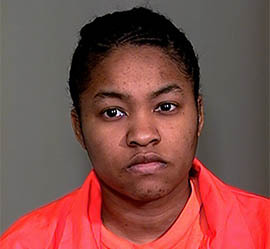 Shawnte Shuree Jones was convicted of first-degree murder and child abuse in the death of her 10-month-old daughter in 2004.